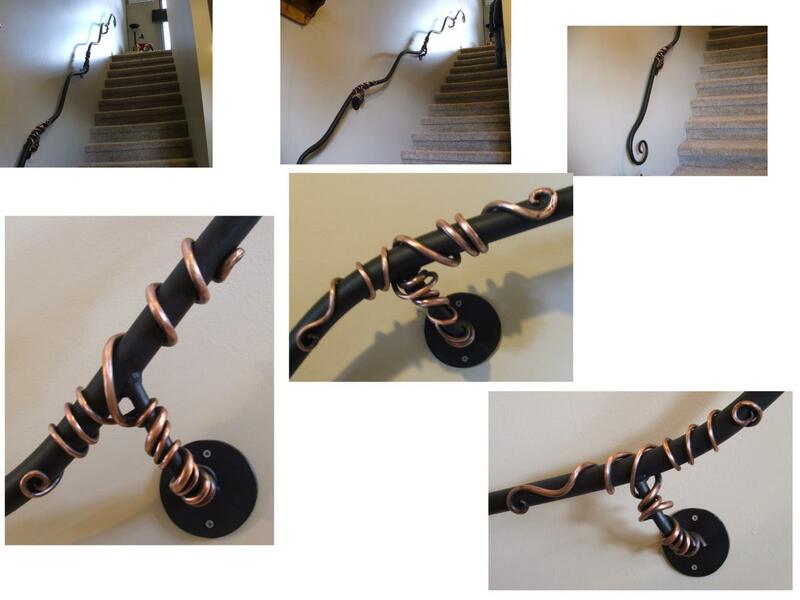 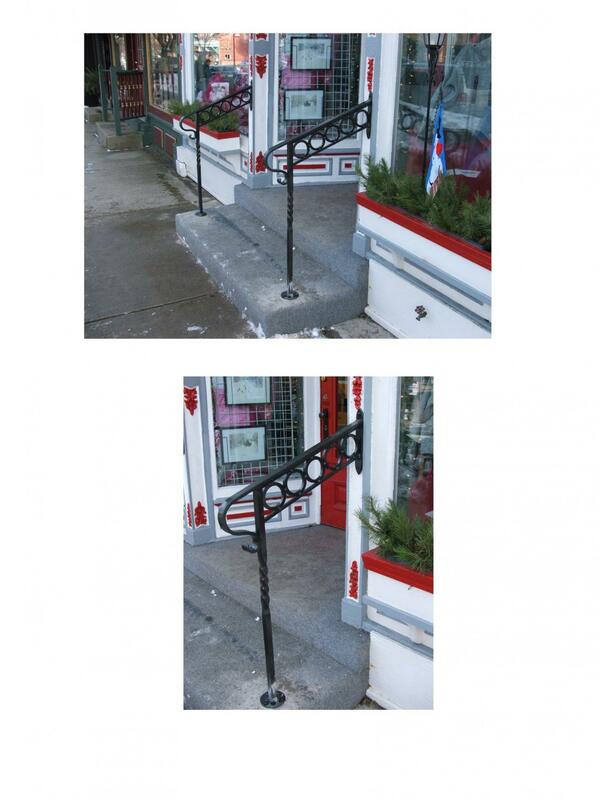 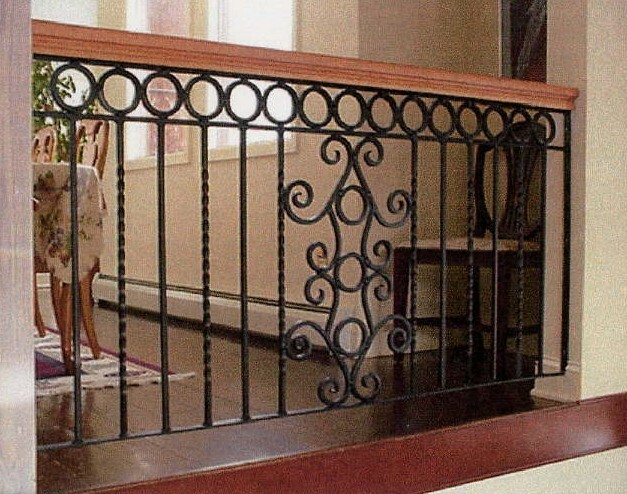 All of these railings and staircases were created for customers. 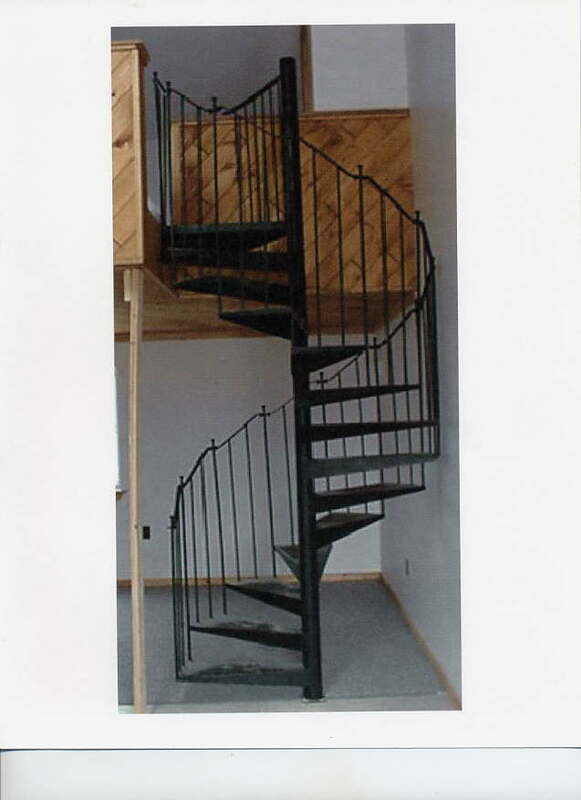 They range from simple railings to spiral staircases that took months to build and install on site. 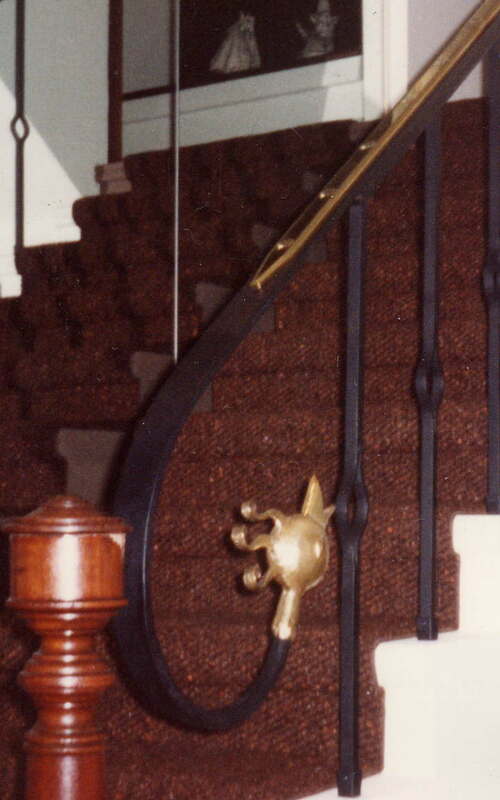 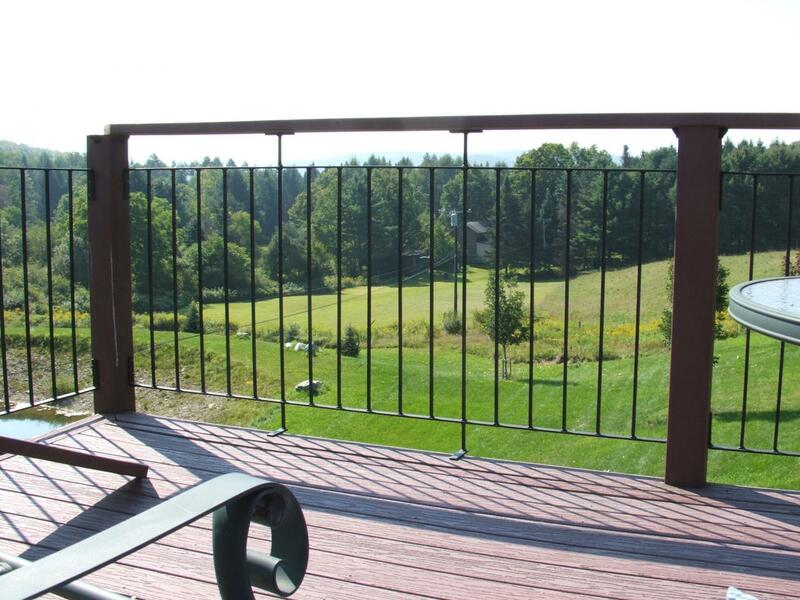 Many of the railings have wood tops and many rely on silhuouttes inserted inside of the bars. 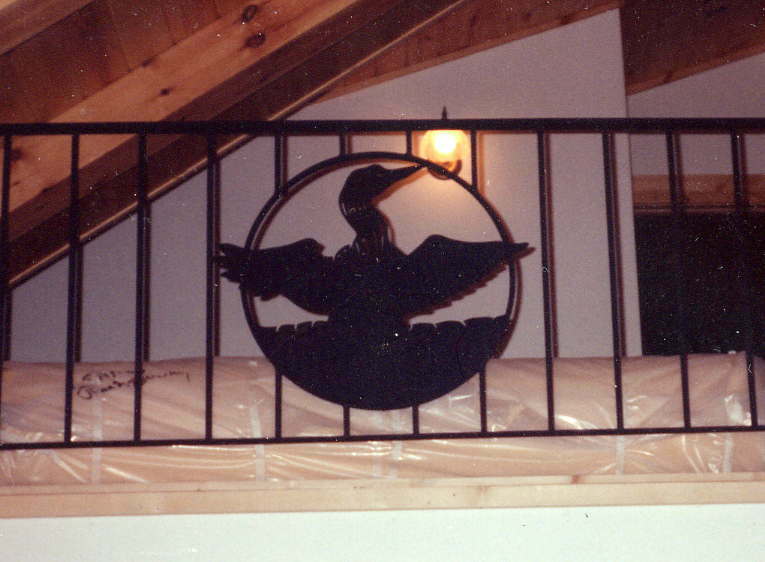 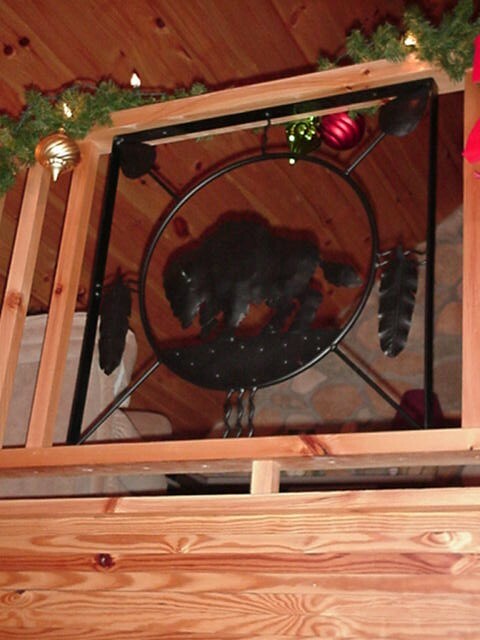 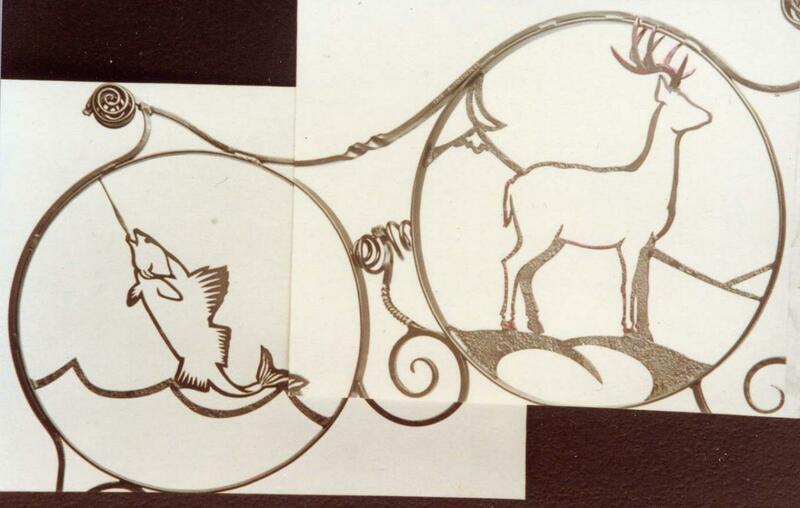 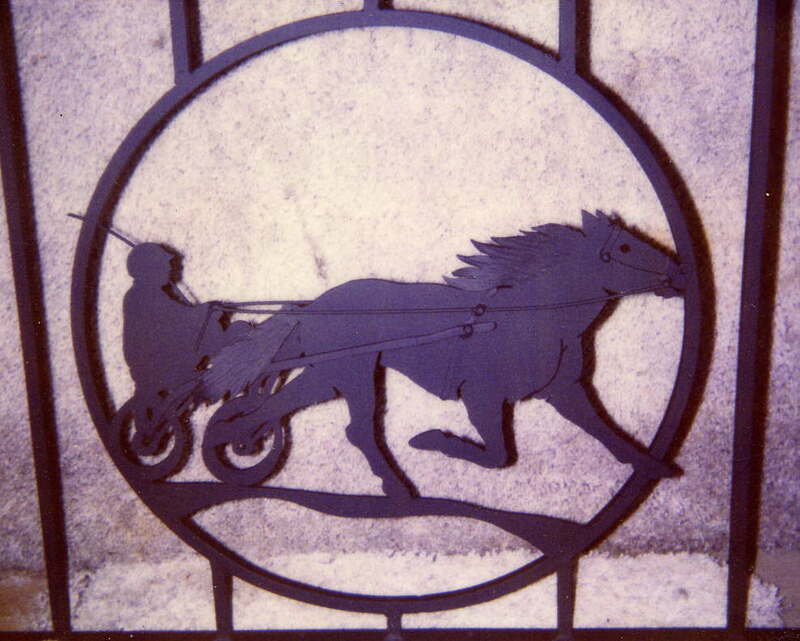 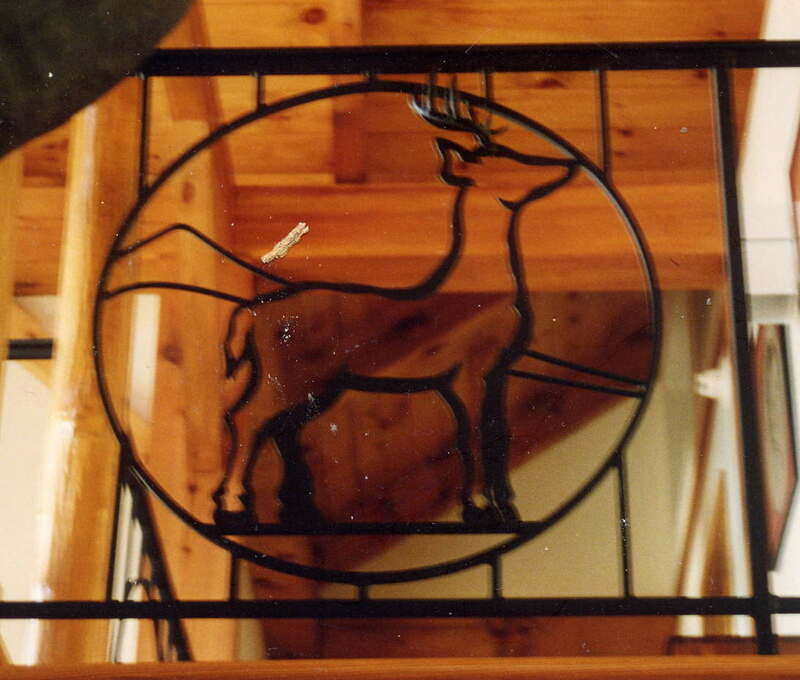 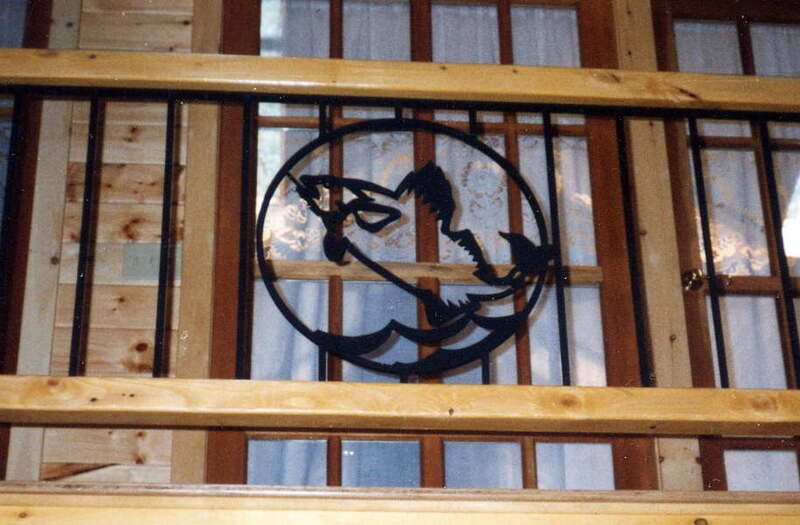 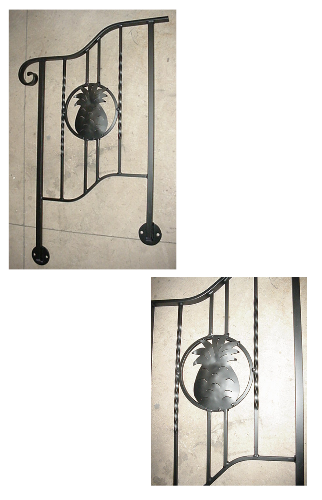 There is no limitation to what can be created and customized into a railing, from an animal, a scene, an initial, a logo, etc. 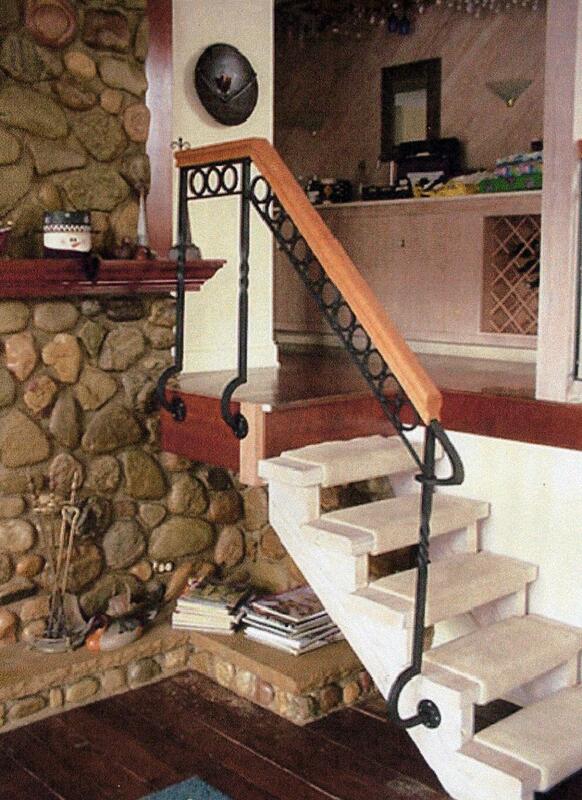 You can contact us for further information or a free quote.